As a parent and spouse, you try to ensure your family is healthy and happy, and you do everything within your power to keep them safe. It doesn’t cross your mind that the products that you are using to keep them safe may actually be placing them in harm’s way. When you think of health and well-being, proper nutrition and supplementation are often on the top of the list of ways to keep your family safe. You don’t consider analyzing the products you use for cleaning purposes, for example. Different types of phthalates have different health consequences although the majority of them affect reproductive health. Many of them can exacerbate respiratory conditions like asthma. 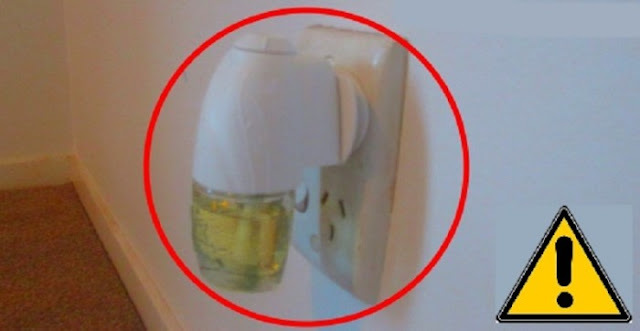 Homemade air fresheners are one of the simplest products to make. Distilled water and a few drops of your favorite essential oils in a spritz bottle is all you need to keep your home smelling great. Shake well before each use and mist the spray around your home whenever you want to freshen the air. Or you can use it in an aromatherapy diffuser. If you are interested to learn more about essential oils you can find useful information in my e-book Magical Aromatherapy. This e-book will help you to discover the power of essential oils and the most effective ways to use them. Many scented products also contain dozens of harmful toxins and carcinogens. So check the chemicals used to create the scents of your products too. A simple way to check your candles is to use a piece of paper. Holding the wick, try to draw a line on the paper. If there is no line, then the wick most likely does not contain lead. You can also light the candle and hold the paper high above the flame. If a gray soot residue forms, your candles may contain lead. The next danger comes from the plastic toxins that seem to be all over the house. You may recognize polyvinyl chloride by its abbreviation: PVC. PVC is the third highest produced type of plastic in the world. Shower curtains contain PVC and other toxic compounds that can be released as you shower. These toxins can affect the reproductive system, the respiratory system, and may be carcinogenic as well. Some of the plastic products used to make children’s toys, containers, and other plastics may also be a health hazard (read my previous article about 7 good reasons to ditch plastic containers). Healthier alternatives for shower curtains include natural cotton curtains or EVA curtains (EVA is a non-toxic alternative to PVC) . Check your children’s toys and your plastic containers to make sure they are PVC free. Many carpet shampoos and fabric cleaners that are designed to offer superior stain removal power use a product called perchloroethylene. Perchloroethylene, also called Tetrachlorethylene, has been linked to increased risks of developing lung cancer. Carpet cleaners and fabric shampoos also sometimes contain a compound called naphthalene. Naphthalene is the main ingredient in mothballs, and naphthalene exposure is linked to an increased risk in developing throat and lung cancers. Baking soda is a great odor remover and white vinegar is effective for removing dirt and stains. If you want to get rid of your carpet shampoo, sprinkle your carpets with baking soda, add vinegar to your water to shampoo, and then wait for your carpets to dry. You can find more uses for white vinegar in my article about the 10 surprising household uses for vinegar. According to the American Cancer Society, another carcinogen hidden in your cupboards could be Tetrachlorethylene or Perchloroethylene that has been used on your dry-cleaned items. These chemicals are often included as solvents in products like dry cleaning products. Wearing clothes that were dry-cleaned can unintentionally expose you to these harmful substances. Make sure your local cleaner doesn’t use perchlorethylene to clean your cloths. Some tick and flea products contain organophosphate insecticides, permethrin, and carbamates. These products are listed as likely to be carcinogenic to humans. You can use natural methods and you can get more information in my article on how to naturally get rid of fleas from your home, garden and pets. You can also read my articles on how to naturally get rid of spiders, ants, mosquitoes and flies. We are often fooled into thinking that certain products are automatically safe. This is particularly true of products like antibacterial products that are supposedly designed to make our environments safer. Evidence suggests that Triclosan may be carcinogenic. Although initial tests were only done on mice, there were enough concerns to ban the product in the EU. However at home you can make your own natural antiseptic soap, or make your own sanitizing natural household cleaner. You need to take an active interest in the products you rely on to keep your family safe. Research the products you use regularly and search the ingredients. Detoxifying your home is an integral part of the detox concept. This includes not only detoxifying your body, but detoxifying your mind and the closest environments as well. You can find more information about this concept in my e-book The Detox Guide, which will teach you how to use detox to cleanse and energize your body and mind and how to detox your home.